It's the season of flowering mango tree and falling of tender mangoes. 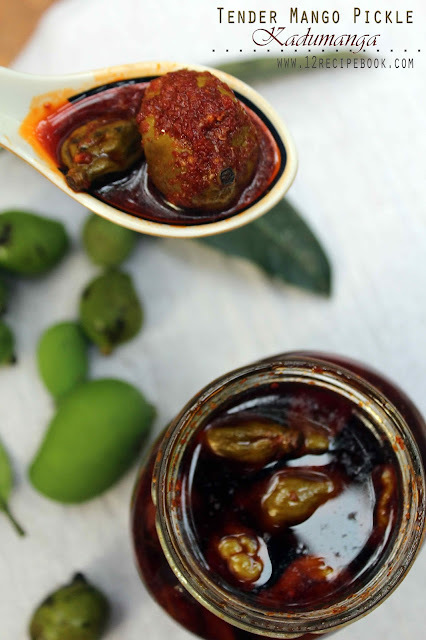 Most of them love to bite it; do pickling and adding in to curries are the ways to utilize it. Kadumanga is a process of preserving tender mangoes as a whole by pickling it. It will stay fresh for about one to two years and you can taste them whenever you crave for it. 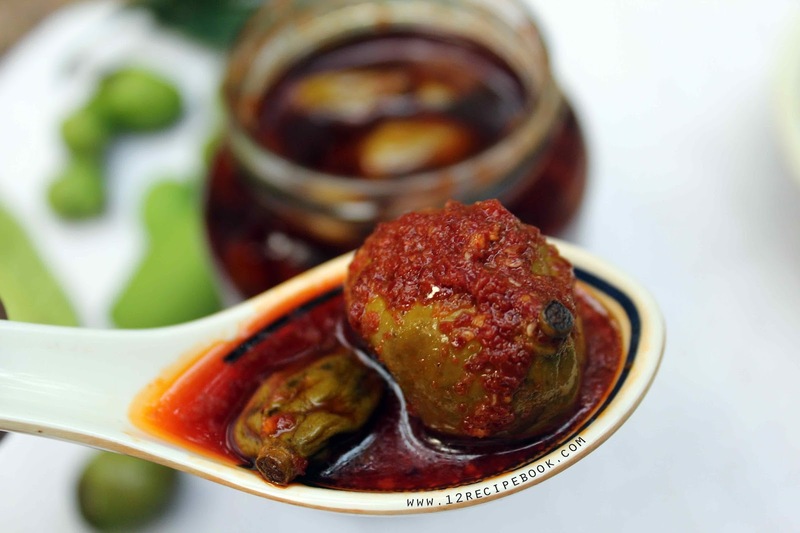 Checkout the easiest and simple kadumanga preparation and make it in your own kitchen. Wash the mangoes well and wipe them well with a cotton cloth (avoid mangoes with marks on it). In a dry air-tight jar add a table spoon of salt; level it. On top add few mangoes. Next add salt on top and then layer it with mangoes and so on until reaches the top of the jar. Lastly on top add some salt and cover the lid tightly. Let the jar rest for 5-6 days or untl the salt get's completely melted and mangoes are reduced in size. Then remove half of the salt water from the jar (keep the remaining half). In a pan add fenugrek, mustard seeds and dry red chilly; Heat on low flame and dry roast for 5 minutes. After that add in to a blender and powder it. Heat a pan with gingelly oil; add blended spice powder and mix well for few seconds; add manoes along with its salt water. Mix well and turn off heat when it starts boiling. After completely cools down; pour the pickle in to an airtight container. It is best to use after one month on wards.